Product #55514 | SKU ASU650SS-240GT-C | 0.0 (no ratings yet) Thanks for your rating! 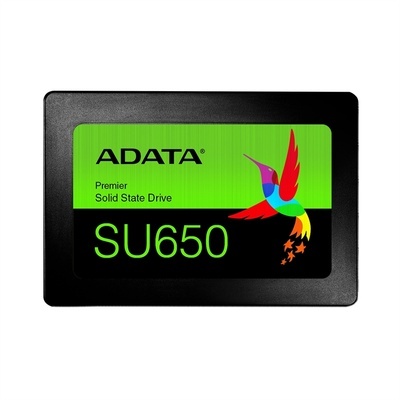 The Ultimate **ADATA 240GB SU650 Ultimate SATA III 2.5" Internal SSD ** implements 3D NAND Flash and a high-speed controller, offering capacities up to 960GB. It delivers read/write performance up to 520/450MB/s and greater reliability than 2D NAND SSDs. The SU650 features SLC caching and advanced error correction technologies to ensure optimized data performance and integrity. For those who want to experience a clear PC upgrade, the SU650 is an excellent choice with a great cost-performance ratio.